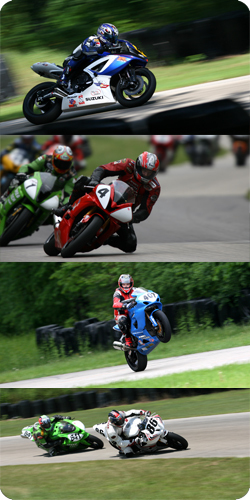 Blackhawk Farms Raceway hosts a wide variety of motorcycle racing events, from amateur to professional. Enjoy spectacular views of racing action in a comfortable outdoor setting. With open paddock areas, spectators can get up close to the bikes and meet the riders.